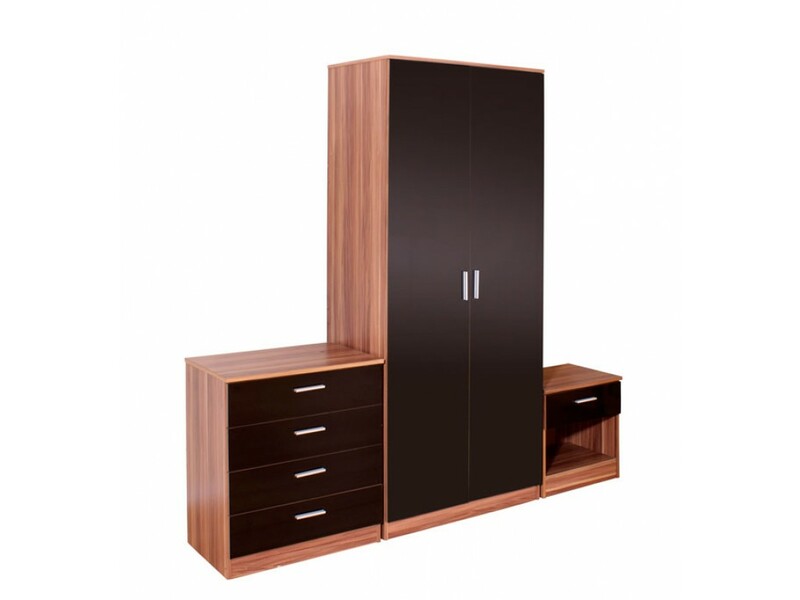 The Madrid collection is a modern set of bedroom furniture in a stunning Black gloss front and Walnut effect frame. 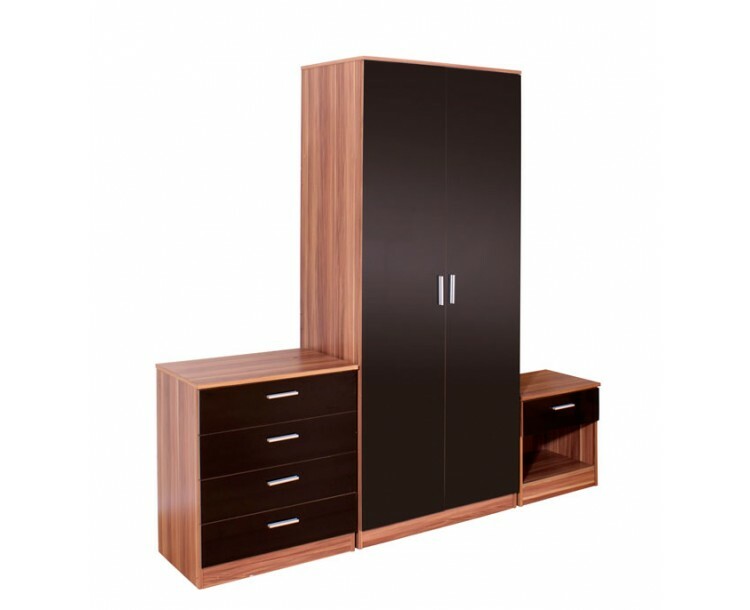 A modern and contemporary design The Madrid collection has a Double wardrobe, Chest of drawers and a Bedside Cabinet all in the stylish Black gloss and Walnut frame veneer finish. 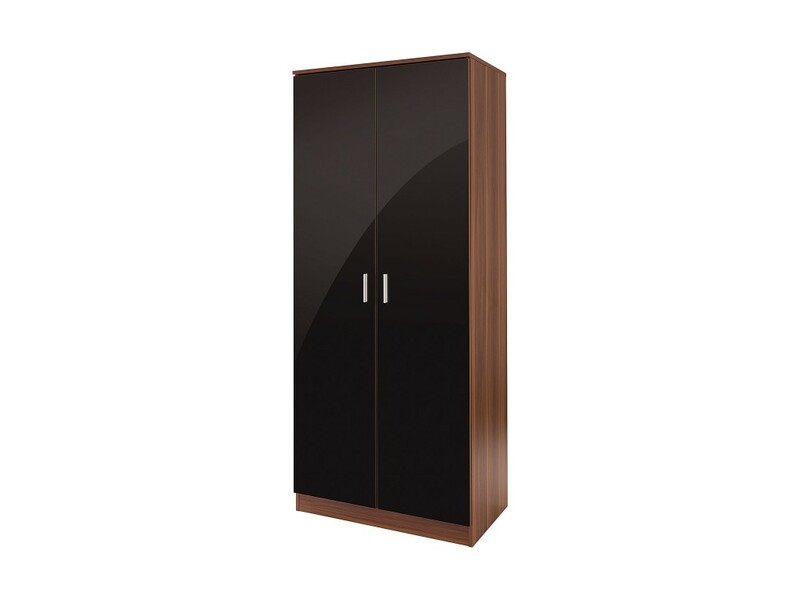 The two door double wardrobe has two doors, a top shelf and a hanging rail. 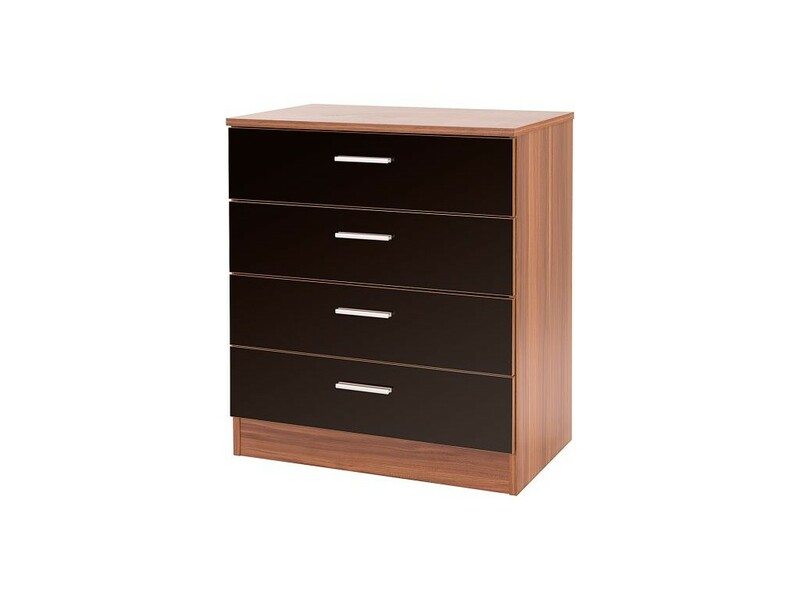 The Chest of Drawers has four drawers. 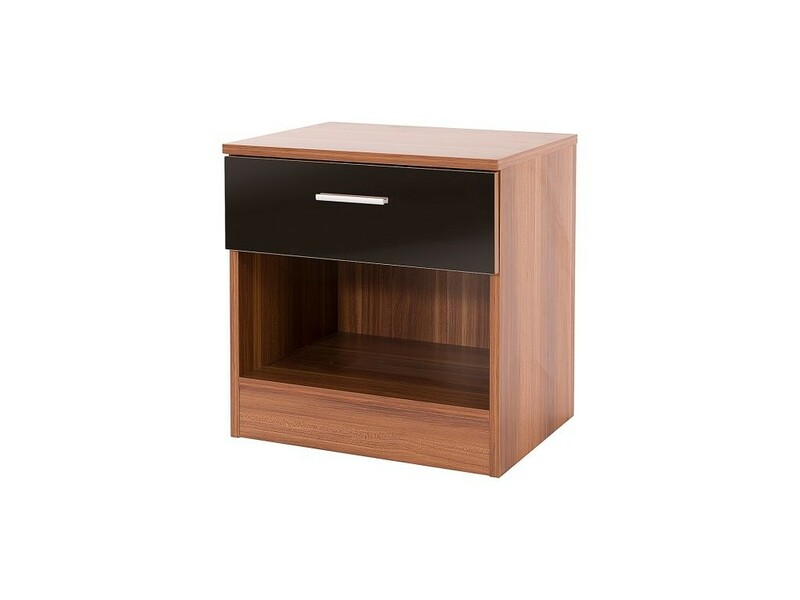 The Bedside Cabinet has a single drawer and space underneath. 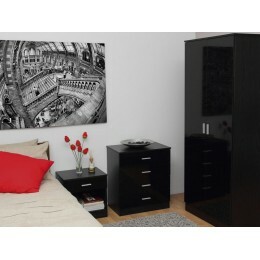 All the drawers are on Metal Runners which make the drawers easy to open and close. 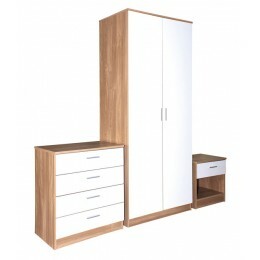 The Madrid collection is perfect for all ages and comes in a wide choice of colours.